Thanks for lending me the book, Kayla! Also, I think the cover has changed since this ARC, so don't be confused! I spent last Tuesday (and into Wednesday) immersed in other worlds, namely, Fran Billingsley’s Chime and (the ARC of) Laini Taylor’s Daughter of Smoke and Bone. Both of these stories were incredibly written and beautifully characterized. I wanted to wrap the words around me, and live in these worlds. Seriously, these books are what I aspire to as a writer. Unfortunately, Daughter of Smoke and Bone is not available until this fall, but Chime is available now! I unfortunately missed out on a chat that writerly friends of mine were hosting Wednesday night, but here is the archive of that chat. I think we decided to make it a monthly chat, on the second Thursday of each month. Throughout the week, too, I accrued a pile of titles to be read, even though I promised myself that I would only get one book at a time. What can I say? 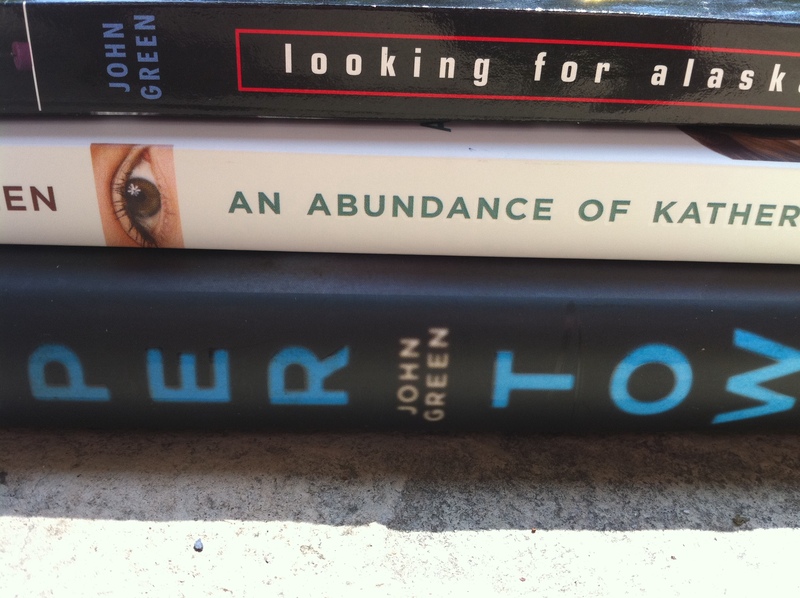 I’m a book junkie. So that was my week (which, if you minus the John Green thing, and add a little more insecurity tugging at my “I Can Do This” exterior, was pretty much a typical week). 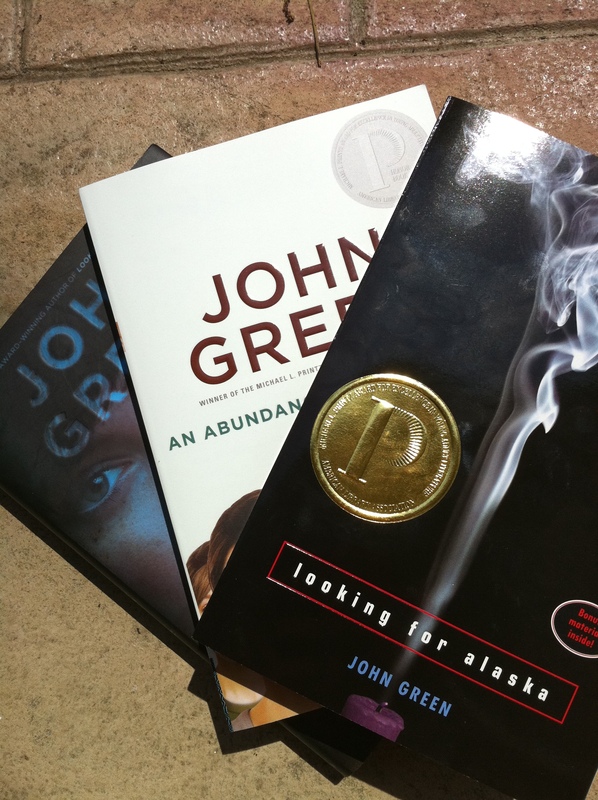 I really like John Green. He tells it like it is, and he makes sense, and he doesn’t make anybody feel bad while he’s doing it. And his books! You are so lucky to have gotten all those signed. My week was much less eventful. But tonight, I got a wonderful tweet from one of my CPs praising my feedback, which totally made my night. That’s so wonderful that you have such supportive CPs! I know it’s weird, but getting feedback on my feedback makes me feel better. It reassures me that I’m helping/doing my part as a partner! Carol rules! Nice ta meet ya, Liza! Oh man, I totally forgot to put in a picture from the signing! I’ll edit to include now. But just wanted to tell you again how much fun I had, and how great it was to experience John Green with you! Truly the best. I can’t wait to see you again. And I’m definitely picking up Laini’s book! Yay! Whenever you get a chance to read it, you HAVE to tell me what you think!! You are a book junkie! Thanks for adding to my reading list! Hopefully, I’ll be able to chat with you all for a bit…maybe during writer’s group, even!